This morning LG Electronics reported to the Korea Herald that they have no immediate plans to introduce new Windows Phone to the market. Instead LG are focusing on Android for their future smartphone releases noting that "The total unit of Windows Phone sold in the global market is not a meaningful figure." The company claimed that the partnership between it and Microsoft remains good but the plan to focus on Windows Phone, announced in 2009, has not worked out for them financially. LG ended up losing money for seven straight quarters and only recently turned a profit. As a result they lost a lot of market share, especially with HTC and Samsung having a winning portfolio of Android devices. Regarding Windows Phone specifically, a spokesperson for the company told the Herald that they will “continue research and development efforts” on Microsoft's mobile OS. This news comes on the heels of an announcement of Steve Ballmer headed to Seoul Digital Forum on May 22 where he will be meeting with various business and developers. Though LG claims to not know his business schedule the implication is that Ballmer may meet with LGE for some damage control regarding their recent smartphone decision. One can claim that LGs offerings for Windows Phone have been extremely lackluster with only the LG Quantum (review), limited to AT&T and a few regional carriers, showing any real innovation. And despite being only one of two hard-keyboard Windows Phone devices it never sold well anywhere. Even the LG Jil Sander phone was a bomb having its price constantly cut, in fact when we got our hands on it we panned the phone as feeling cheap and unexciting. While prototype devices like the E740 remain floating around (we'll have our mini-review of it later today), the phone is a far cry from anything interesting and would do nothing for LG or Windows Phone were it to be released. It's one unique feature, NFC, has very little support in most major markets in 2012. Clearly LG is facing stiff competition, poor R&D and they are feeling the pressure from the Microsoft-Nokia partnership which they commented on in 2011. Perhaps they will use this to leverage a favorable deal from Microsoft if Ballmer meets with them later in May. While it could look bad to lose a major OEM like LG, we're not exactly too saddened either. 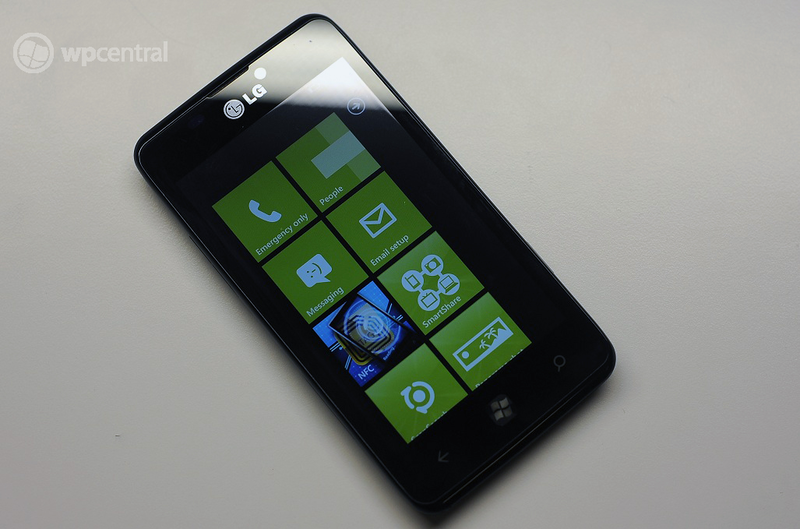 Clearly Nokia, HTC and Samsung are the future of Windows Phone.